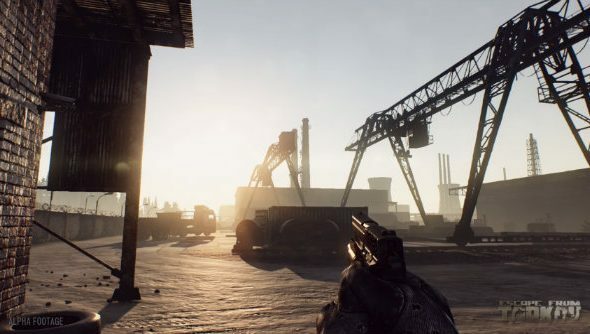 Two new videos have been released for FPSMMO Escape from Tarkov: one highlighting the game’s in-depth weapon modding and the other showing off a bit of alpha gameplay. Escape From Tarkov has no release date, but you can play through our list of PC’s best FPS games. As the name suggests, this story-driven FPS/RPG hybrid takes place in the Russian city of Tarkov, an urban sprawl caught up in a war between rival private military companies. There’s a lot of attention to the small details here, right down to the punchy audio design. Just because there’s deep RPG-style customisation, it doesn’t mean you’re going to have to pepper bullet sponges and watch numbers pop up, though. Judging by the alpha footage, gameplay will be more focused with realism than watching damage numbers pop up, so guns have heavy recoil and deadly bullets – this is something that brilliant sound design looks to compliment. The developers will be streaming gameplay on Twitch this Saturday, April 2 at 11am PT/2pm ET/7pm UK, so check that out if you’re looking for more. As yet, no release date has been announced.